A Cardis Sotheby’s International Realty exclusive! 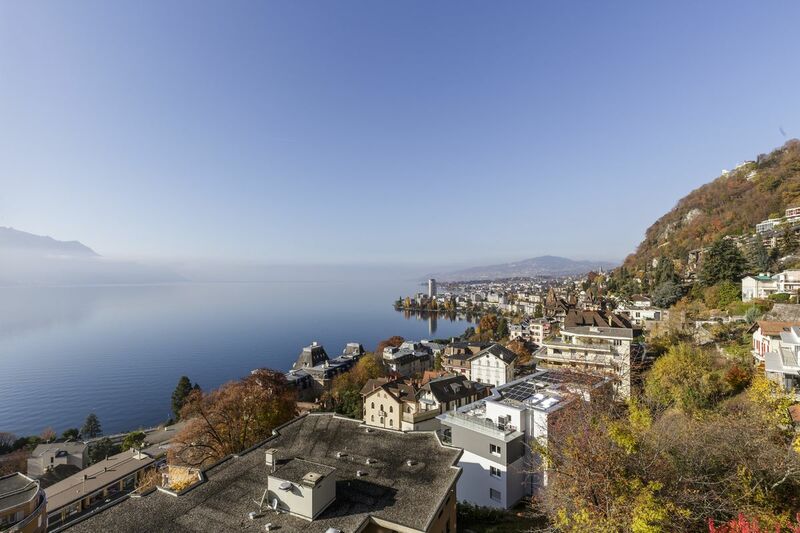 Ideally located in Territet, part of the municipality of Montreux, this superb duplex apartment lies in a quiet, residential neighbourhood. This prime location guarantees residents a quiet living environment and easy access to urban amenities. Occupying the top two floors of a charming two-home residence, this stunning 5.5 room apartment offers 207 m² of living space. The apartment enjoys an exceptional amount of natural light throughout the day, thanks to its many large windows and southerly aspect. 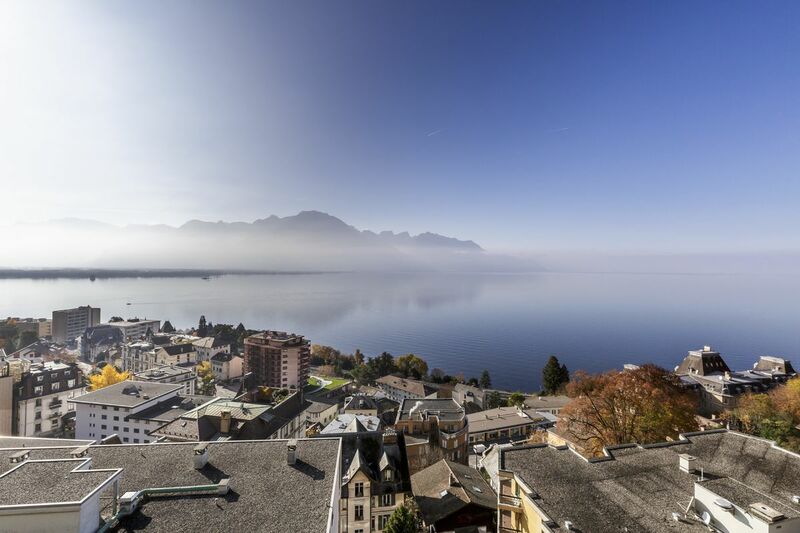 It also offers a spacious 64 m² terrace that enjoys total privacy as well as breathtaking panoramic views over Lake Geneva and the surrounding mountains. This brand-new home has been created by renovating an existing villa and splitting it into two apartments. 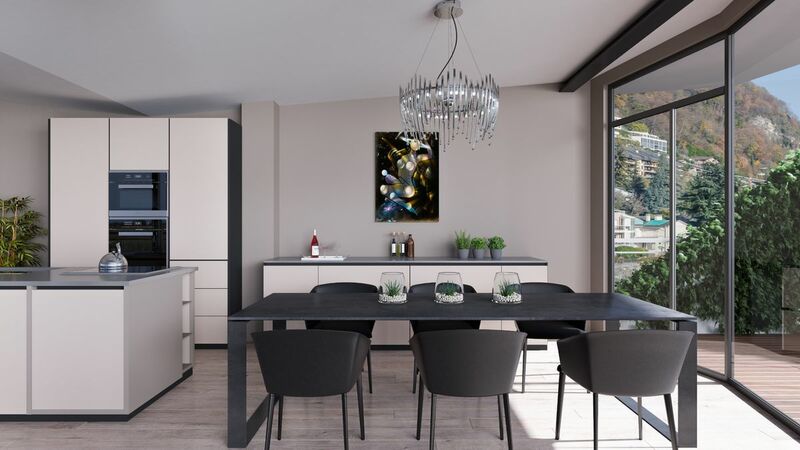 The finishes and style of this apartment can be chosen by the future owner. The garden and green spaces surrounding the villa will be landscaped in a Mediterranean style, lending added character. Please note that this property may be purchased only as a primary residence (Lex Weber law). Two outdoor parking spaces and a cellar complete the property. Built in 1998, this detached villa has been fully renovated and split into two separate apartments. 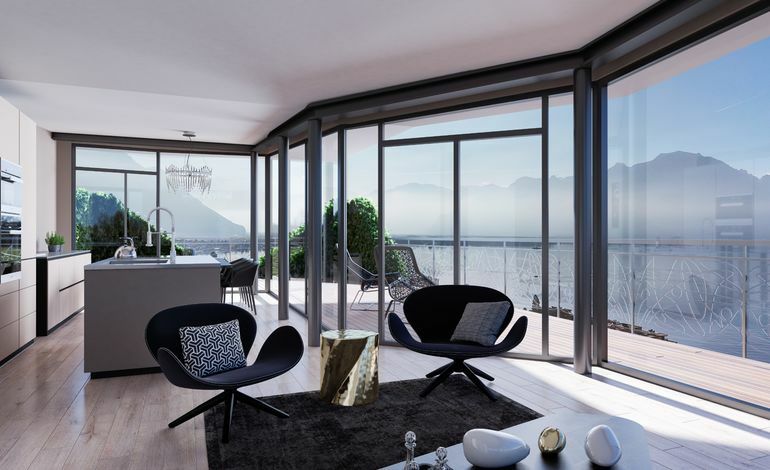 Built in contemporary architectural style, the penthouse offers spacious rooms with plenty of natural light. 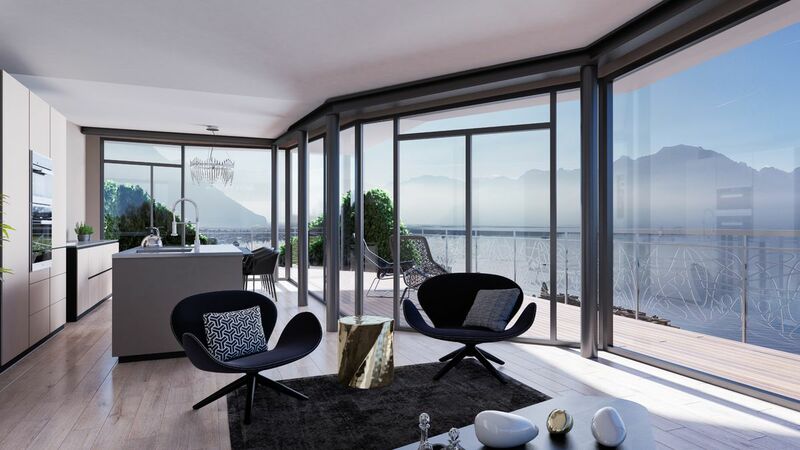 It will benefit from Schüco aluminium double glazing throughout, while the south and west façades will also feature solar control. Materials have been chosen to respect health and the environment, with an emphasis on natural materials, traditional techniques and the well being of inhabitants. The house is fitted with aerogel perimeter insulation, and the heating system uses an Alpha-Innotec air-water heat pump. All the bedrooms have an en-suite bathroom. The two larger bedrooms will feature smoked and brushed Vougeot oak parquet flooring at CHF 165/m², while the other rooms will be laid with ‘Valenod vibré’ Burgundy stone for enhanced cooling during the summer months. 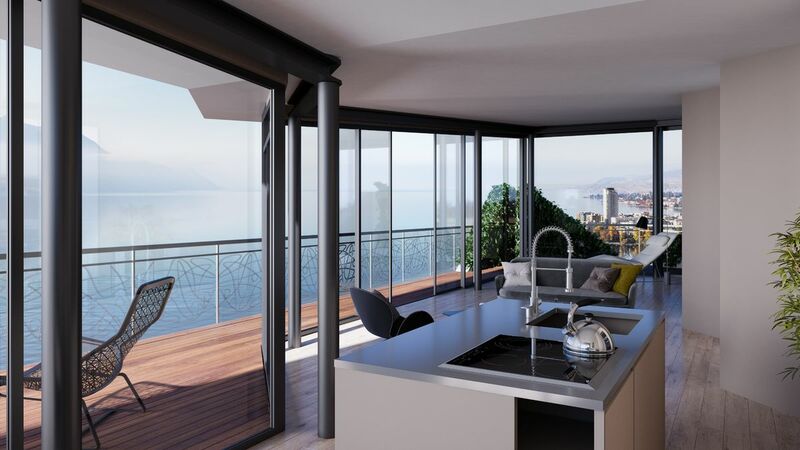 The CHF 40,000 budget for the ‘Modulnova’ kitchen from Acuba permits a choice of quality appliances. The bathrooms fittings include customised Tadelakt type materials. A home automation system offers individual control of all functions through touchscreen, tablet or smartphone. The guard rails of the spacious terrace were designed by painter Victor Ruzo, the villa’s previous owner. Lastly, a lift and staircase will connect the two floors. 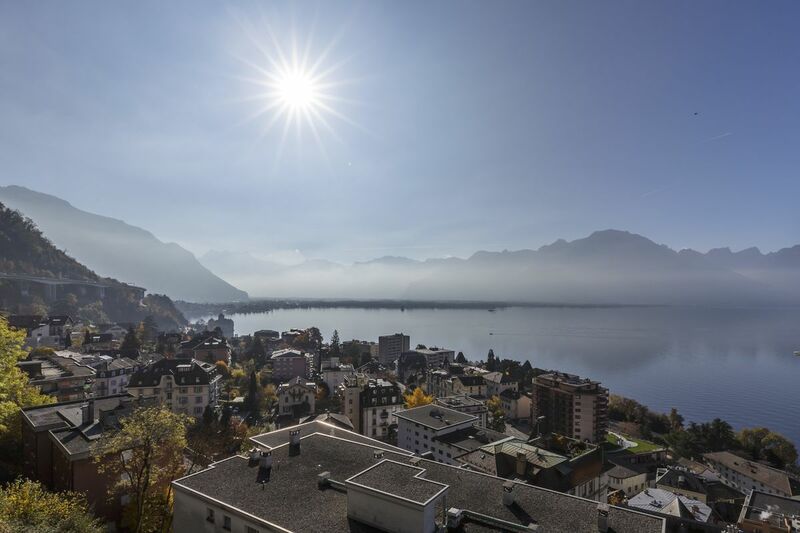 A tenant is already ready to conclude a lease agreement for the rental of this property for a monthly amount of CHF 10'000.- !